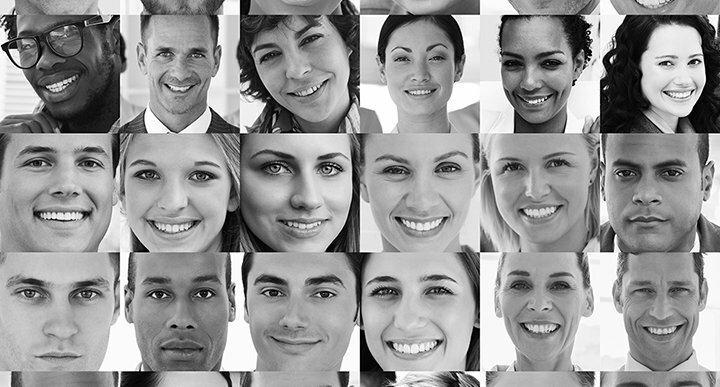 How is Diversity Important for Your Bottom Line? A diverse workforce in an organization with an inclusive culture makes the organization more innovative, agile, and attuned to the needs of customers. Overall productivity and employee satisfaction improve, which in turn improves the bottom line and revenue. The change in corporate policies to include discussions around diversity has happened in India, with the IT and BPO industries leading the way. Many Indian companies began by putting in place strategic policies around flexible working arrangements for women, and then applied the same HR template to other areas. In India, businesses are increasingly looking to women as a crucial, untapped economic engine. The retail industry leads the way in reflecting its diverse consumer base in its workforce. “... having a workforce that understands and is part of the consuming community is essential to translating data into growing the bottom line.” When a retail company’s workforce reflects its consumer demographic, employees help the company connect with its customers. Having employees that reflect the larger population as well as specific communities that the company is targeting, helps to forge connections and build the brand in the long term. Customer service is an integral part of modern day retail and is best delivered when employees truly understand the customer. This is innately possible when the employee represents the company’s customer base. Diversity brings about positive impacts horizontally in organizations that adopt it as part of their DNA, because it is intrinsically synonymous with openness, honesty, and transparency - all values to aspire to. When an organization strategically adopts diversity, not just as a box to check for the purposes of compliance, these other values automatically become stronger and more visible, across the board. This improves the perception of the organization for all its stakeholders, from its customers and employees to its investors and management. When the brand is strengthened from the core of the organization because of diversity, there is a qualitative impact on a company’s bottom line - and that’s something you can’t put a number or a price on. There is evidence1 that shows a direct link between diversity and financial performance. Another study examined the relationship between gender diversity and financial performance at the business-unit level, using more than 800 business units across two organizations from different industries. The study found that employee engagement and gender diversity independently predict financial performance at the business-unit level. The basis for such findings is the notion that men and women bring different viewpoints, diverse market insights and a broader repertoire of skills for problem-solving and innovation. The numbers are in, and they overwhelmingly validate the value of gender diversity for organizations. Women have proved themselves time and again, demonstrating loyalty, commitment, soft skills like punctuality, flexibility, and good communication; women handle negotiation different from their male counterparts, naturally seeking affinity, common ground and consensus. Women leaders have also been rated higher than their male counterparts in competency areas like “energizing,” “designing and aligning,” “outside orientation,” and “tenacity”. In short, top-performing companies have a higher representation of women on their leadership teams. a) Women board directors directly impact the number of women hired in line positions and middle management roles within the company, thus directly impacting the company’s diversity quotient. b) Mixed-gender teams led to higher performance. Teams with an equal mix of men and women outperformed male-dominated teams in profits and sales. Performance peaked when a team had about 55% women. c) Women outperformed men on 12 of 16 measures of outstanding leadership competencies and scored the same as men in the other four. While women outscored men on “nurturing” competencies such as relationship building and developing others, women outscored men most significantly on “takes initiative,” “practices self-development,” “displays high integrity and honesty,” and “drives for results”. d) A better diversity ratio is linked to lower attrition. e) An increase in women has been linked to a group’s effectiveness in solving difficult problems. Studying 15 years of data on the management teams of S&P 1500 firms, researchers found that more women in top management improved the performance of firms that were heavily focused on innovation. These global case studies are proof that corporate India can also benefit exponentially from hiring women at all levels. In India, several companies are adding to the mix and hiring women in key roles to improve their bottom line. JobsForHer’s Diversity Drive 2.0 connected pioneering companies blazing the trail to bring more women into the workforce, to aspiring women who want to restart their careers. Companies like Target, Mindtree, Genpact, Kemwell, CITI India and Titan all featured jobs on our portal through August, demonstrating their diversity quotient and walking the talk! Companies are welcoming these women back to the workforce because of the wealth of experience that they bring to the table, along with the new-found dedication that their personal journeys have instilled in them. Is your company ready to diversify? Then look no further! JobsForHer connects companies with women restarting their career after breaks for life events such as marriage, motherhood and elderly-care. Sign your company up on JobsForHer TODAY! Sander Hoogendoorn, Hessel Oosterbeek, and Mirjam van Praag, “The Impact of Gender Diversity on the Performance of Business Teams: Evidence from a Field Experiment,” Social Sciences Research Network, Working Paper Series (April 28, 2011). Cristian L. Dezsö and David Gaddis Ross, “Does Female Representation in Top Management Improve Firm Performance? A Panel Data Investigation,” Strategic Management Journal, vol. 33, no. 9 (September 2012).